Tool have been promising a new album for years, and yet the beloved prog-metal band still haven't followed up 2006's 10,000 Days. Now, they've revealed that the real reason for the delay is a convoluted lawsuit that has kept them distracted for years on end. 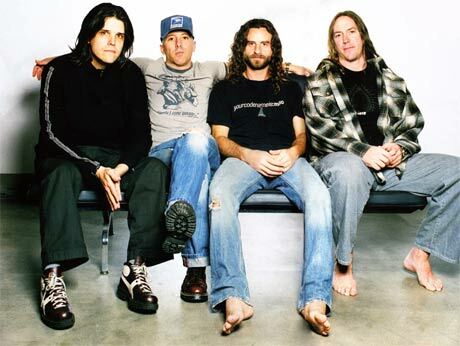 As Rolling Stone reports, the whole legal mess stems back to 2007, when a friend of the band claimed that he had created artwork for Tool and wanted credit. Then, the insurance company that the musicians thought would help to defend them in such a case turned the tables and sued the band. Tool then filed a countersuit against the litigious insurer. The case is finally set to go to trial in January. The process has cost the band millions, occupied their time and, it seems, sapped their creative juices. "The whole thing is really depressing," drummer Danny Carey told Rolling Stone. "The bad thing is it's really time consuming. As we've gotten older and our priorities have changed, it's hard to get the band on a good, solid schedule as it is. People have kids now. And there's lots of other things that pop up. To throw this into the mix, it makes everything that much worse and stresses people out. "We're going to trial and we want to crush them. But every time we've gotten close to going to trial, it gets postponed and we've wasted money and time and it has just drained our creative energy. We bought an insurance policy for peace of mind, but instead we would have been better off if we never had it and just dealt with the original lawsuit." Guitarist Adam Jones added, "The fans are pissed at us. And while part of me is selfish and goes, 'I'm not necessarily doing it for them,' it's time that they understand what's going on." It's not all bad news, however, since work on new music is underway. Jones said that one 10-minute song is "pretty much done." They've apparently got enough ideas for an entire album, and the next step is refining the parts and sending them to frontman Maynard James Keenan to add vocals. The new ideas are apparently heavy and emphasize the band's metal influences. Carey said, "I'm hoping that we have something really solid recorded by the end of the year. But we'll see how it goes. I thought that last year, too. But we're making great progress. We've really knocked out a lot of good things, especially over the last month. We're all excited about it." With all this going on, it makes sense than Keenan has been focusing on Puscifer more in recent years.